Located in Staunton, Virginia, Charlie Obaugh RV Center has been serving the Valley for over 40 years with quality sales and service. Our parts and service departments are open on Saturday for your convenience. Our body shop is second to none and will work with you and your insurance company to your satisfaction. Whether you need to purchase or service a new or pre-owned RV, you've come to the right place. Call 540.324.4449 for your No Obligation Internet Price Quote from our RV Internet Department. We know the kind of freedom and adventure you are looking for, so we are proud to carry a large selection of new and pre-owned class A motorhomes, fifth wheels, RVs, toy haulers, and travel trailers. Our friendly and experienced sales, financing, service and parts departments are ready to offer outstanding service at every point, from assisting while you’re making your choice to ongoing maintenance and customization. We pack more standard features into our RVs to make your experience more comfortable. We only use dependable components in our RVs, made by companies that value their reputation as much as we do ours. Our top-quality materials and production techniques let you spend more time enjoying your new RV and less time maintaining it. 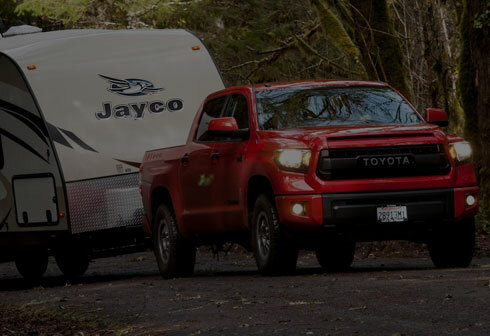 Call us today at 540.324.4449 and find out how our team can help you find the Jayco you’ve been looking for! We look forward to the opportunity to serve you. Charlie Obaugh RV is conveniently located near the areas of Waynesboro, Fishersville, Charlottesville, Ruckersville, and Harrisonburg.